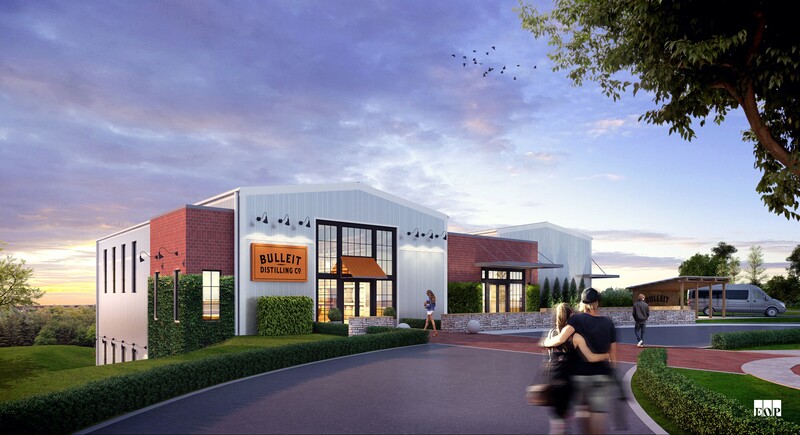 Construction will soon begin on a nearly $10 million Visitor Center at the Bulleit Distilling Co. in Shelbyville, Kentucky. Today, Bulleit Distilling Co. and Diageo executives joined Shelby County elected and community leaders to celebrate the start of construction and enjoy a toast with founder Tom Bulleit. The Visitor Center is expected to open to the public in 2019. The 11,570-square-foot state-of-the-art Visitor Center will include interactive educational experiences, Bourbon tastings, and retail space. It will be designed to be engaging, technologically advanced and environmentally conscious. Tours of the distillery will highlight Bulleit’s modern whiskey-making process and will include a visit to Tom Bulleit’s office. 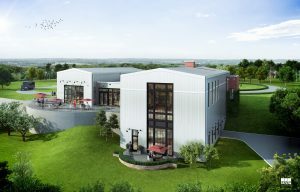 “Our vision with Bulleit Distilling Company and the new Visitor Center is to hero the community, culture and partners that have brought Bulleit to boundary-pushers all over the world and established it as a pillar of American whiskey,” said Ed Bello, U.S. & Global Brand Director for Bulleit Frontier Whiskey.